[:en]Concern mounts about the future of Iraq’s water resources, and in an important development Iraqi President Fouad Masoum warned about the deteriorating situation. It is important for Iraq to raise its voice in regional and international fora to fight for its legitimate rights to sufficient shares of water, especially with regards to rivers shared with Turkey, Iran and Syria. The Save the Tigris campaign calls on the Iraqi government to act urgently and transparently, to open a dialogue with neighboring countries, and to invite Iraqi civil society to engage further on the issue. The Save the Tigris River and Iraqi Marshes Campaign participated in the “Water Resources in Iraq: Challenges and Solutions”conference oragnized by the “Committee for the Defence of Water Rights of Iraq”, the Association of Iraqi Academics in the UK and in cooperation with the Embassy of the Republic of Iraq in London from 2-3 July 2016. The conference was attended by a group of academics and experts in the field of water resources and International (Water) Law. Representing the Iraqi president at this conference, Senior Advisor of the Presidency and former Secretary of Water Resources Dr. Abdul Latif Rashid, re-iterated the warning of President Fouad Masoum as well as his determination to continue the process of rehabilitation of the Iraqi Marshes. He demanded UNESCO to include the Marshes in the UNESCO World Heritage List. Johanna Rivera, representative of the campaign, stressed in her intervention the need to cooperate with civil society as a partner and to take seriously the risk of continued dam construction, such as Ilisu on the Tigris River in Turkye, and Daryan Dam in Iran on the Sirwan River (Diyala River). Iraq has to move quickly in order to open a dialogue with these countries regarding the dam construction. Iraq is facing real challenges in dealing with scarcity of water resources and the associated serious environmental, economic and social consequences. In order to highlight and bring awareness about these problems, the Association of Iraqi Academics in the United Kingdom through its Committee for Defending Iraq’s Water Rights held this conference with the support and participation of the Iraqi Embassy in London. The two days conference was attended by many academics and specialist experts in the fields of water resources management and international laws governing water distribution between neighbouring water-sharing (riparian) countries. Following the many contributions dealing with these two issues, it became very clear to the conference participants that Iraq’s water problems can be defined in two parts. Firstly; the huge drop in the Tigris and Euphrates rivers water reaching Iraq due to riparian countries upstream undertaking significant projects to alter, store and use flows from both rivers and associated tributaries, and secondly; the lack of proper management of water resources by the Iraqi authorities. The conference identified an urgent need for the Iraqi authorities to establish at the highest official levels communication and contacts with the riparian countries in order to bring to their attention the seriousness of the problems Iraq is facing due to their restriction of water flow. Such contacts need to be supported by the international community and be guided by existing international agreements governing water distribution between riparian countries especially the United Nation 1997 accord. The conference emphasised the need to carry out this task speedily and before ongoing projects in neighbouring countries completely reduce water flow to Iraq killing off these two great rivers. Implement the conclusions and recommendations of the strategic study on Iraq’s water resources management that was carried out by the ministry of water resources and allocate the necessary funds needed. Provide a national programme to educate people on proper management of water resources on all levels. Establish a national data base specifically for information and studies on water resources and make the information available to researchers and experts in the field. Strengthen cooperation with regional and international organisations specialising in water resources management through placing precise programmes for such cooperation. Pay special attention to the need of the marshes south of Iraq by securing required water supply to ensure survival of this important region. Deal with the Mosul dam problem urgently in order to find a permanent solution to avoid the risk of its collapse. Provide plans to develop the knowledge and experience of technical, managerial and legal personnel in all relevant government departments and work to include modern methods of water resources management. The importance of involving Iraqi none governmental organisations (NGOs) in supporting and helping the Iraqi authorities with all of the issues addressed above so that they can also interact with international organisations to gain support for Iraq’s legitimate rights for water. The conference also recommended sending communications/letters to the Turkish and Islamic Republic of Iran governments via their UK embassies calling for both governments to observe Iraq’s right to riparian water shared with both countries and to establish joint, binding and fair treaties to all dealing with water distribution. The conference also recommended sending a communication to the United Nation, European Union and the British Government asking for their support for Iraq’s quest for a fair share of water. Plan to hold a future International conference about this issue with the support of the United Nation, other relevant international organisations and Iraq’s NGOs and with the participation of Iraq’s neighbouring countries (Turkey, Iran and Syria). Urgently call for placing an agreement with Turkey before the completion of the Ilisu dam that would result in almost complete stop to the flow of Tigris river water. Engage all news and publicity media sources to publicise the issues and gather worldwide support for Iraq’s cause. The Iraqi government to start proper plan for using water and the search for alternative sources especially underground water. Send a message of condolence on behalf the conference and the Association of Iraqi Academics to the families of the victims of the AL-Karada bombing in Baghdad. 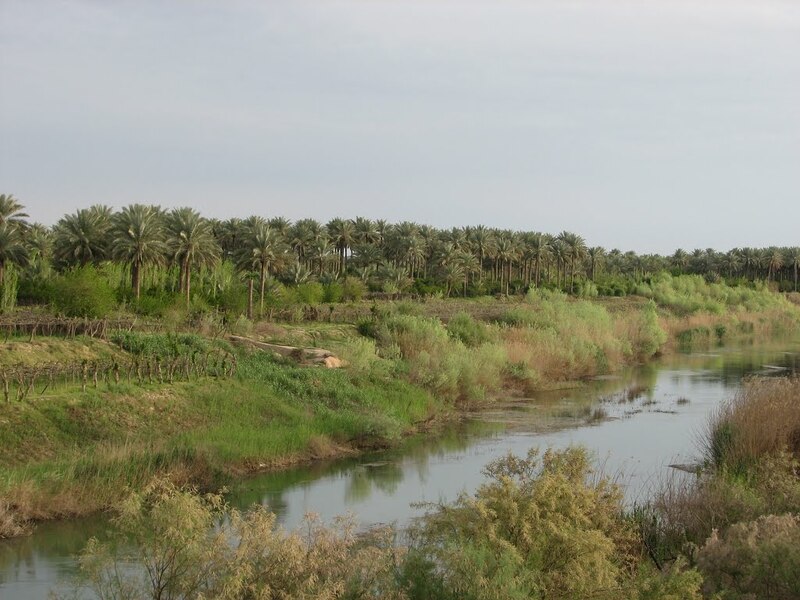 Mega water projects and the environmental crisis in the Iraqi Marshes: a publication by A SudIraqi Marshlands named as UNESCO World Heritage Site!